Organic food company, EFFi Foods®, has officially unveiled its brand new website and online store (www.EFFiFoods.com) .The consumer friendly and stylish design is easy to navigate and is informative, keeping in line with the company’s own ethics of incorporating the latest innovation in design and personal nutrition. 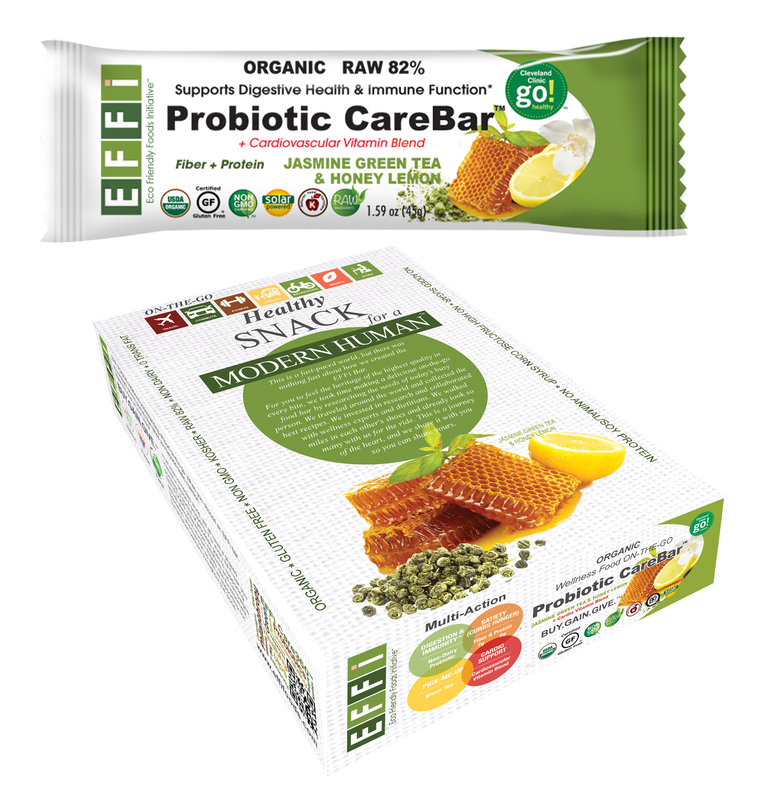 The EFFi Foods® website, not only offers a user friendly online store for the new snacking on-the-go nutrition bar Probiotic CareBar®, but it gives consumers the opportunity to “own your journey” and learn more about the importance of organic food, sustainability, nutraceuticals, probiotics, and personal nutrition. Visitors to the site will be well informed on the business and environmental ethics of EFFi Foods®, including their fair trade practices, numerous partnerships and green commitment to triple bottom line principals. The newsletter and blog will feature special guests such as dieticians, doctors, sustainability experts and nutritionists offering their unique insights into what it means to be healthy. The new site will give readers an in-depth look into the company’s variousphilanthropic initiatives and humanitarian partners through EFFi Care360™. They will learn how a portion of the profits is donated both locally and around the world. “EFFi Foods® is a brand with high attention to detail from how it operates as a business to the products packaging. That’s why our main focus is to provide a beautiful yet easy to navigate online experience,” said EFFi Foods® Digital Marketing Director, Slava Rybalka. The new EFFi Foods® online store gives the rapidly growing fan base the ability to make purchases online while avoiding regular store mark-ups. The accelerated launch of the online store, from the fall to the summer was due to the demand for the company’s organic and nutritious Probiotic CareBar® which also officially launched this month.